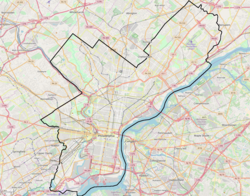 In the 18th and 19th centuries, wealthy and influential families established country seats along the river in Tacony. The British Army raided several farms and estates there for supplies during its Revolutionary War occupation of Philadelphia in 1777-78. Not yet a part of the City of Philadelphia, Tacony was then a village in Oxford Township, Philadelphia County. Three vessels named "Tacony" saw naval duty, one of them for the South during the Civil War. In 1863, Confederate forces captured the merchant vessel Tacony and used it as a stealth raider, CSS ''Florida No.2'', to capture 15 additional ships. It was burned when the crew upgraded to a larger vessel. A 2004 book, "Seawolf of the Confederacy," chronicles its exploits. Also in 1863, a gunboat named Tacony, built at the Philadelphia Navy Yard, was commissioned and saw blockade duty against the South. During World War I, a sizeable yacht owned by industrialist Jacob Disston was donated to the government for the length of the war. It was refitted, armed, and assigned to coastal patrol duty as USS Tacony. ^ "USN Ships-USS Tacony (SP-5)". History.navy.mil. Retrieved 2012-07-06. ^ "Disston & Sons, Keystone Saw Works". Workshopoftheworld.com. 1988-12-27. Retrieved 2012-07-06. ^ "Frank Shuman's Inventors Compound". Workshopoftheworld.com. Retrieved 2012-07-06. This page was last edited on 26 February 2019, at 18:07 (UTC).